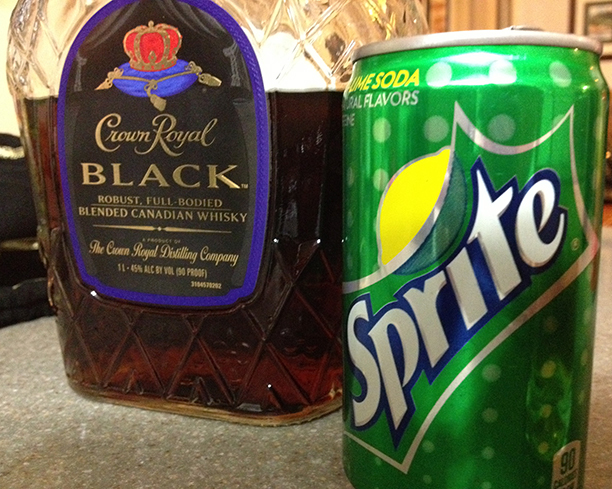 I like Crown Royal whisky. It’s a regular purchase for me and I always have at least a bottle or two on hand, just so I don’t run out. But I am always up for trying a new blend of it. 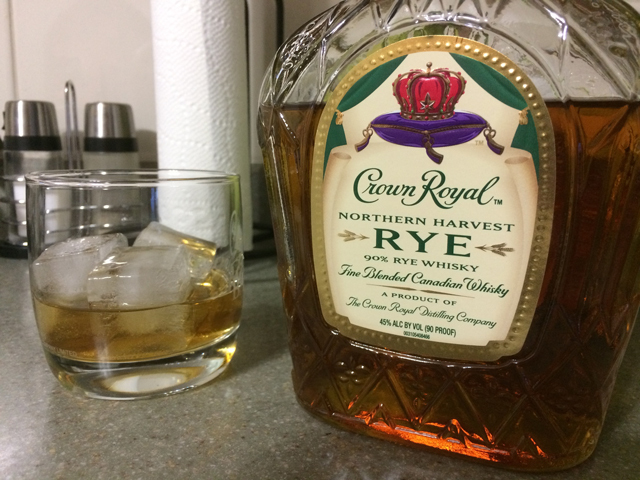 The Rye piqued my interest right away when I first heard about it. So obviously, I had to try it. 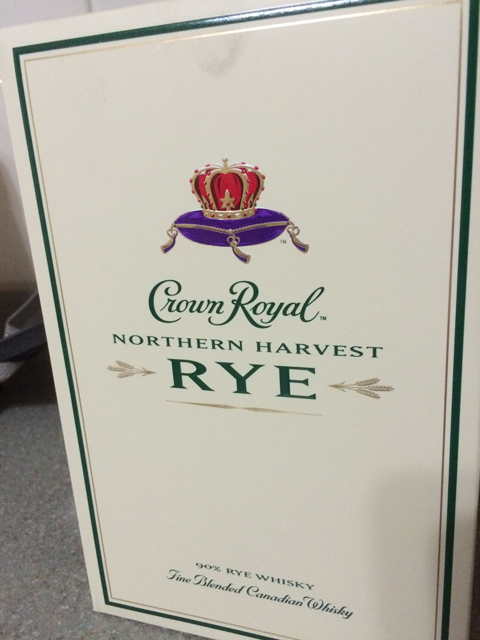 On the liquor store shelf, it’s in a nice creme-colored and green-trimmed box. A refreshing look compared to other whiskys sans box. 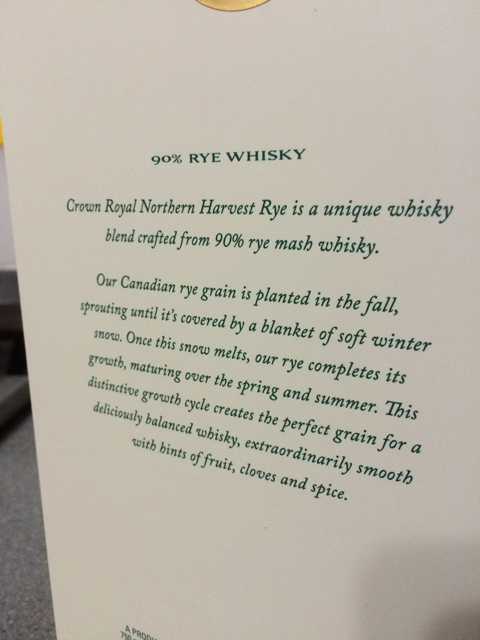 90% rye whisky is a nice strong and consistent blend. Lots of details explained on the back of the box, of particular interest is the method of planting and harvesting the rye wheat. The balanced whisky is very much noticeable in it’s taste and how it hits the palate. I’ve not mixed with anything. Just served up over ice or neat. The notes of fruits, spices and clove comes out in the taste. No need to let this breath, although I did take in the aroma from the bottle and once it was poured. 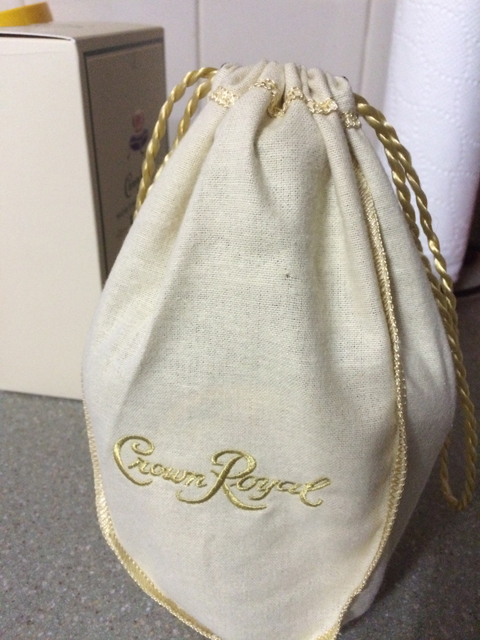 The signature Crown Royal bag is creme colored, similar to the box color. And the thinness of the bag is almost to the quality of the regular blends of Crown, with the exception of the Monarch 75th anniversary blend. Price wise, this is a bit less [around $35 USD] than a 750ml of Crown Royal Black, my go-to whisky that I drink the most of. 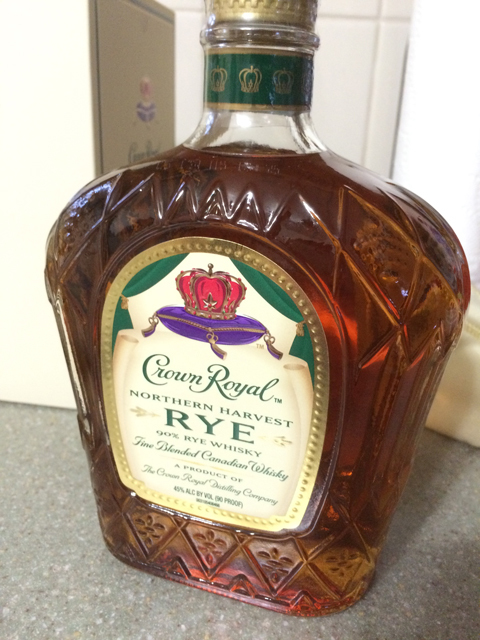 If you want to try a good rye whisky, Crown Royal has an excellent choice that shouldn’t disappoint. You and I need to go drinking.